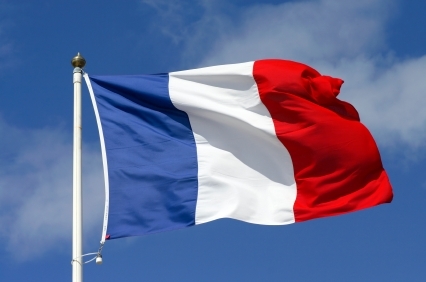 Connexion would like to set a point straight about Britons in France and Brexit – the draft law which France has published about a no-deal does NOT seek to make life hard for our community as has been widely reported in the media. Contrary to press reports, the draft law does not aim to empower the government to force Britons in France to have visas and residency cards and even less does it seek to ‘make us illegal'. Rather, in its introductory passages the law draws attention to the automatic effects of a no-deal should the French government not act to put other measures in place. These effects include the fact that British residents in France would lose their current legal residency status – which is based on them being EU citizens – and become third country (non-EU) citizens. They would therefore be in an ‘irregular’ situation after Brexit due to not having the usual visas and third country citizen residency cards that such residents require. France is not seeking this, it is merely stating a fact. The introduction also lays out, among other automatic no-deal effects, the fact that employers employing Britons would find themselves to be breaking the law, because third country citizens need appropriate cartes de séjour and/ or work permits in order to work legally. As we explained previously the aim of the law is to enable the French government to pass emergency laws by decree to deal with this situation for the best, both for Britons in France and for French residents returning from time spent in the UK (eg. holding qualifications from UK universities or having paid into a UK state pension for a number of years). The French government’s current view was summed up yesterday in a Senate debate by Europe Minister Nathalie Loiseau when she said she wished to maintain Britons’ rights in France along the lines of what was agreed in the draft withdrawal agreement – but on condition that the UK acts similarly towards the French in the UK. French Interior Ministry officials previously told Connexion that their wish is for Britons living in France before Brexit to maintain the status quo whatever happens and in a National Assembly debate in February the top official in charge of dealing with residency matters said in particular that France intended to respect the rights of those who had gained EU ‘permanent residency’ status (though having lived legally and continuously in France as an EU citizen for more than five years). It is worth noting also that the draft law’s introduction does not explicitly say that visas would be needed for British tourists after a no-deal as has been suggested in some media but it refers to a need for visas for Britons coming to live in France for more than three months. However it is possible that tourists would need short-term Schengen visitor visas after a no-deal Brexit as these are required for all non-EU visitors apart from those from a list of countries which are given a waiver from needing one. Such status depends on multiple factors including human rights and the EU's relations with the country. It may require bilateral negotiations and is not automatic. EU negotiators have previously said whether or not travel visas are needed after Brexit would depend on how well the negotiations go. The law is scheduled to be debated in the Senate from November 6.